Other than those days, we will have our full schedule running, including New Year’s Eve and New Year’s Day. Happy Holidays!! Starting on November 24th, we will run Holiday Specials up until the start of the new year!! 30% off all 12 Month Memberships!!! Be sure to sign up for your memberships before the start of the new year to take advantage of these deals!! Holiday Closures and Winter Camps!! We are also having our Winter Camps back for 2016!! December 27th-29th, ages 6-11 and 12-17!! Check out the Winter Camps page for more information. Big Changes To Youth Parkour!! The first is a change in minimum age at the gym. Starting in September, the minimum age to participate will be 6 years old. If your child is 5 and has already taken a class from us, they will be allowed to continue taking classes and attending open gyms. This is strictly for newcomers to the facility. The second is a change to open gyms. Starting in September, all youth (ages 6-11) will be REQUIRED to have an APEX Movement White Band in order to attend open gym. To obtain a White Band, students must attend 3 Youth Level 1 parkour classes first. Once they have their White Band, they will gain access to both All Ages and Youth open gym sessions. Have any questions or concerns? Email us at Denver@APEXMovement.com and let us know. Due to building maintenance, we will be closed on June 25th from 10:00am until 12:00pm. Our schedule will resume normally at noon. Email us at Denver@APEXMovement with any questions. Closed 3/23 for snow day!!! APEX Movement Denver will be closed on Wednesday 3/23 for a snow day. Stay safe out there!! Any days not listed above will be running on normal business hours. 2015 WINTER CAMPS! SIGN UP HERE! After our wildly successful parkour camps last summer, we have expanded our offerings for 2015 to include winter camps! There will be 2 camps at our Denver location this winter! Camps are grouped by ages: 5-11 and 12-17. If you have any questions, please contact us at Denver@apexmovement.com. Upcoming Intro to Parkour Classes and Gym Closure Info! Classes are ongoing, everyday, and you can join at anytime! Check the schedule for class times. For more info check out our pricing and memberships. Directions to APEX Movement Denver. Click here for a map! 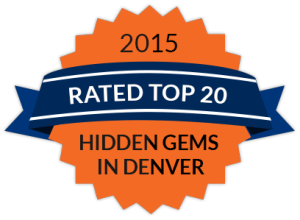 That’s right, APEX Movement Denver is a hidden gem in Denver. Check out the article by clicking the icon above and see what else this wonderful city has to offer. And then after, get off of the computer and start moving! !